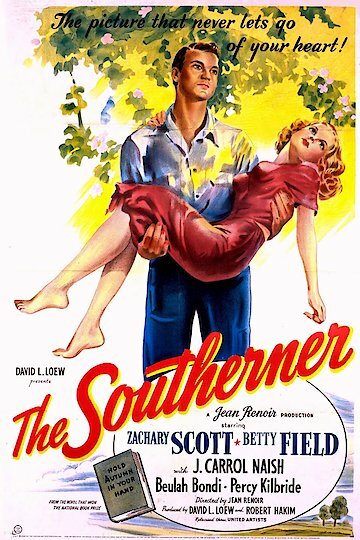 In this man-against-nature tale, Zachary Scott and Betty Field star as farmers who are determined to scratch out a living growing cotton. Like many an ambitious but inexperienced farmer, the pair come up against the forces of the environment that make it difficult to produce a decent crop and earn a living. Weather, disease, flooding and the nefarious plotting of a neighbor who doesn't want them to succeed threaten to derail their dreams. The Southerner is currently available to watch and stream, download, buy on demand at Amazon Prime, Amazon online.